It doesn’t matter if you are a newbie or a well experienced hiker, you will find a perfect route that will suite your interests and needs. However, it is important to note, that there are several precautions, which you should bear in mind, while planning your adventure. First of all, you should leave your travel plan here, so in case of emergency you will be saved. Secondly, you should choose your outfit wisely, weather in Iceland changes drastically, and if you don’t want to get into troubles, you should get waterproof and warm clothes and shoes. As we mentioned earlier, there are myriads of paths that you can take, and it’s hard to choose the best one, as the preference depends on hiking ability and interests. Though we picked the five hiking places in the country, which are generally popular among tourists. The park is a perfect spot for hiking, there are marked trails from Ásbyrgi south to Selfoss and it is the best way to explore the stunning nature of Jokulsargljufur park. Some hikers prefer to extend their trip to lake Myvatn with its breathtaking views. There are different paths in the park that vary on the level of difficulty, which make this place suitable for unexperienced hikers as well. Here you can look at a hiking route map. This hiking trail is really popular among tourists and it connects the nature reserves Landmannalaugar and Þórsmörk. The area will impress anyone with its colourful mountains, bubbling hot springs and transparent blue lakes. 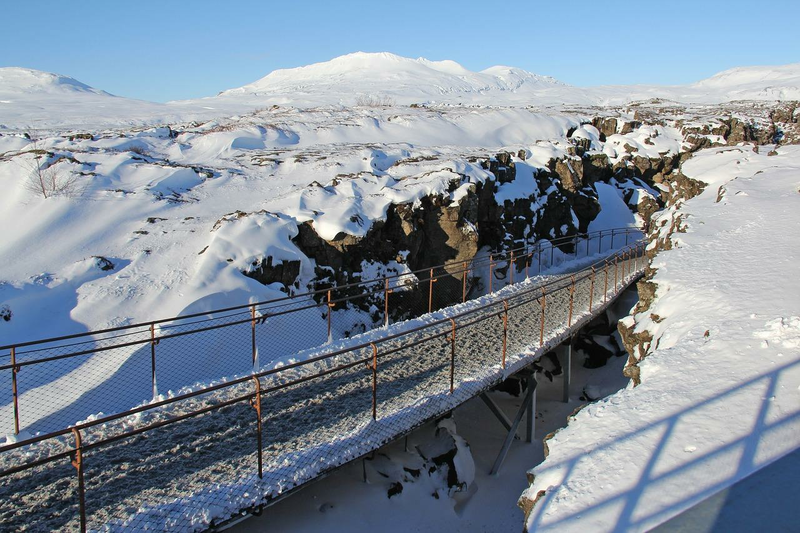 If the weather is good, you can get a great panoramic view from old Bláhnúkur volcano. Wild camping is not allowed here, so you should reserve an accommodation on advance. The difficulty of the path depends on the weather. From Þórsmörk there is another popular trail, that goes to Skógar. This path gives hikers a chance the beautiful views on South Iceland. You can finish the route in 8 hours, however some hikers prefer to spread the trip for two days and spend a night in one of the huts near Eyjafjallajökull and Mýrdalsjökull. Due to weather condition the trail can be difficult even for experienced hikers, so please follow instructions while hiking here. Be Local Buy Local ehf. © 2019 Reykjavík Auto. All Rights Reserved.